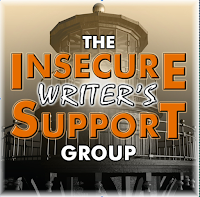 This post is part of the monthly blog hop/therapy session known as the Insecure Writers Support Group, founded by the one and only, Alex J.Cavanaugh. If you're a writer, insecure, or just supportive of writers—insecure or not—please join us. It happens the first Wednesday of each month. I encourage everyone to visit at least a dozen new blogs and leave a comment. Your words will be appreciated. This month’s challenging question is: How has being a writer changed your experience as a reader? The arc, the black moment, and the resolution. To make it all believable no matter the genre. But definitely not ready for publication. And that’s why being a writer has RUINED me!! Me, as a reader, that is. Because now I’ve lost my emotional connection with the story. And lately, I've been reading many like this. Has being a writer changed your experience as a reader?